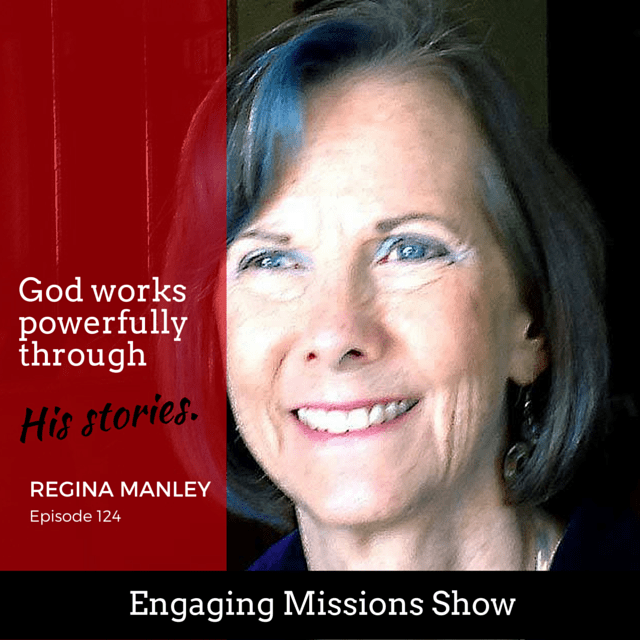 Regina Manley talks about the importance of sharing the Good News through oral learning. She discusses how many individuals prefer learning through stories rather than reading, and a lot of people are unable to read. Because of this, there is a great need for Christians to share stories of the Gospel to others. She also talks about how God put this desire into her heart and how she has seen oral learning encourage the Church. She even shares her favorite Bible story in a very energetic and memorable way. You won’t want to miss it! Note: In the introduction, I accidentally referenced Mission Aviation Foundation. It should have been Mission Aviation Fellowship. [11:23] – Do you have a favorite Bible story? [13:43] – What question should we ask while reading the story? [18:41] – How does your ministry work? [30:07] – What excites you about your ministry? [40:45] – What is the next step? No one had to teach us to tell a story. God works powerfully through His stories. Our testimony is one of the most powerful ways that we can witness and share the Gospel. The marketplace is exactly where the action is. Thanks for this great interview with Regina. I’ve already listened to it twice and I have it saved to listen again later. Thanks again for what you’re doing with this show. It’s one of the most informative and inspirational podcasts I listen to. Thanks David. I really appreciate that. And thanks so much for the recommended interviewees.